Continuing the journey through Canberra breakfast venues. Watch this space as the list grows! It happened that I was researching developments around Braddon, that we stopped for some breakfast at Autolyse in Lonsdale Street. I had been here once or twice before, but just for coffee. So it was time to try some food. The service is friendly and efficient. We both ordered Bruschettas; one being tomatoes, greens & cottage cheese on bread, the other being mixed mushrooms. The coffees arrived promptly (very good) but were both medium hot only (bad). So they were in danger of having to be consumed quickly, even before the food arrived (not good). The food arrived fairly soon after and looked quite tempting (good?). But, alas, the tomato and greens bruschetta was plain tasting, and lacked any of the usual Italian-esk tastes such basil, garlic or other herbs. 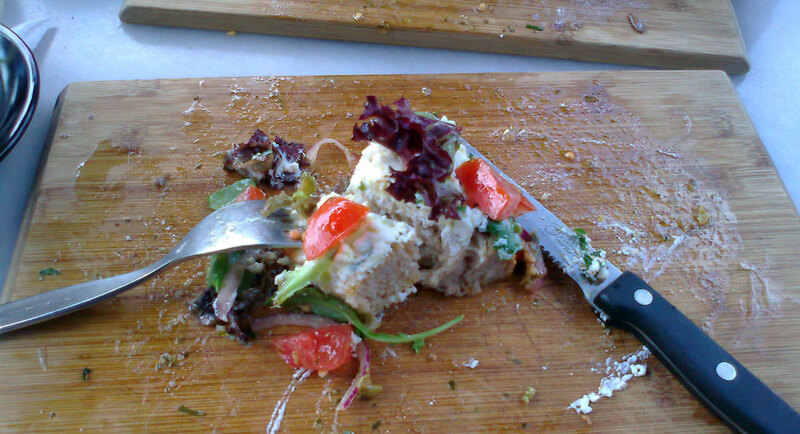 As I ate the dish, it became obvious that there was too much liquid as the bread was becoming soaked and soggy (bad) . The story was similar for the mushroom bruschetta. Despite any negative comments, the food was generous, satisfying and tasty – if you like plainer styles of food. For both of us, the bruschettas were lacking spice or difference. (not so good!). Add to that the soggy bread and the not-so-hot coffee and the meal was not memorable. If you were in an intense business meeting with someone, you may not notice the food, so that would be fine. It’s a nice place to meet. note the wide area of moisture! I do recommend sitting outside, to avoid the music being played inside and to take in the atmosphere of the street, which is quite busy. Not a high recommendation. I would give it another go – not too soon – and I would try something else on the menu. Some of the made up rolls looked tempting. But then there is the not-so-hot-coffee! Recommendation: Rating 7/10 (just! maybe). 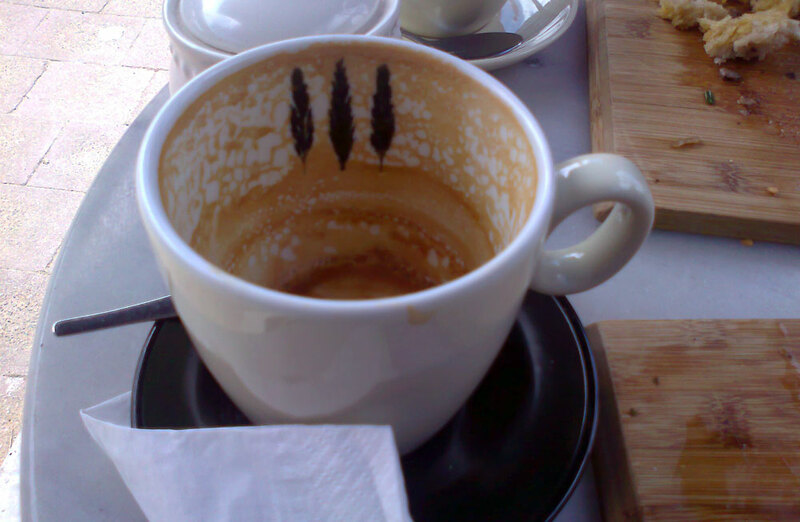 For previous Canberra Breakfast posts: click here.